LONDON: Jemima Goldsmith, former wife of Prime Minister Imran Khan, has said that Pakistan’s government caved in to extremist demands to bar Asia Bibi from leaving the country. Jemima took to Twitter saying, "Not the Naya Pakistan we’d hoped for. 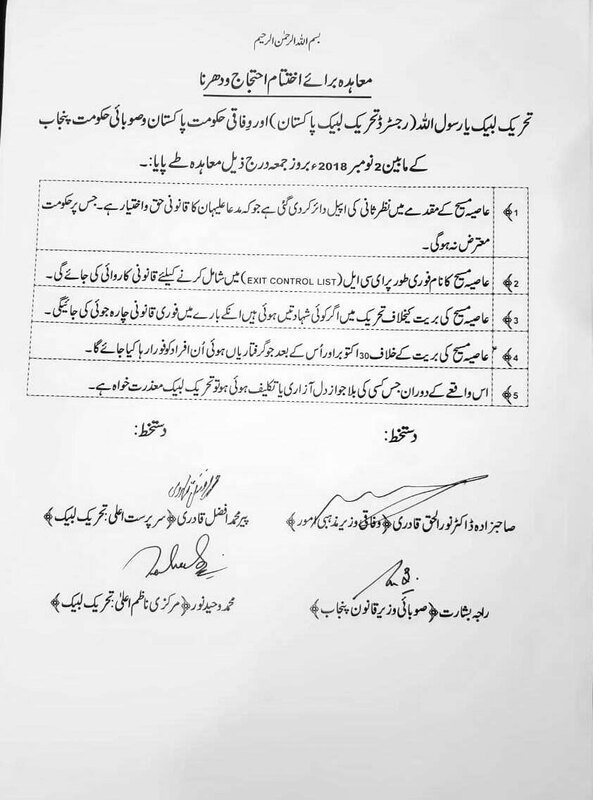 3 days after a defiant & brave speech defending the judiciary, Pakistan’s gov caves in to extremist demands to bar #AsiaBibi from leaving Pak, after she was acquitted of blasphemy- effectively signing her death warrant." She went on to say, "Still hoping there’s some plan afoot which we don’t know about." The government and protesters' leaders reached an agreement to end three days sit-ins across the country. the protesters who were arrested on October 30 and later on will be released soon. Tehreek-e-Labbaik Pakistan will apologize to those whose sentiments have been unnecessarily hurt during the protests. Legal action will be taken for the protesters, if killed following acquittal of Asia Bibi.